Welcome to the awesome world of Speed Flying! This is the newest adventure sport quickly becoming popular, and Speedfly California is the leading training site and school. Come join us and experience for yourself the exhilaration of this new sport. With established flying sites throughout the Sierra Nevada Mountains, and a World Class 1700′ training mountain with year-round excellent weather, we create new pilots in a matter of days. Show up as a beginner and you will have intermediate skills within a week of flying! Please understand this is not a sport where you can just buy a wing and safely learn on your own. Proper training doesn’t take long, but it is necessary to start with foot launch instruction on a larger wing, and work your way down in size. We cannot emphasize this enough. Our Introduction Course is a full 1-day lesson in which you will learn the basics and safely enjoy a few flights. No experience flying ram air wings is necessary. We will keep ground school to a minimum so that you can simply enjoy the sport and see if it is for you. The Introduction Course is $375 ($200 discount with purchase of a wing) and includes gear, USHPA membership, insurance, all site fees, and ATV rides to launch. This is a very full 8-10 hour day, depending on the time of year. The P2/M1 Rating program is for individuals who wish to earn their Speed Flying Rating. No experience flying ram air wings is necessary. You will fly on the first day and start your progression up the mountain to our various training hills. The skill sets taught will follow the USHPA Speed Flying rating curriculum. Upon completion of this course you will earn your P2 and M1 ratings, allowing you access to many regulated flying sites, including ski resorts. Course cost varies by student, and follows the paragliding training pricing structure. Course completion time is typically 5-7 days, and it is $275 per day after the first day which is $375. We teach paragliding, P1-P4, as well! 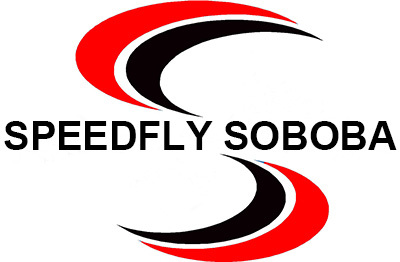 Visit our Soboba Paragliding site for more info. Now offering paramotor training too!